Nasal and sinus tumours are rare head and neck growths that begin inside the nose or paranasal sinuses. The exact reasons for nasal and sinus growths are not known. It is more typical in individuals who deal with specific synthetic compounds, similar to chromium or nickel, or formaldehyde for a long time. Different variables, such as smoking, can likewise increase the risk of nasal and sinus cancers. 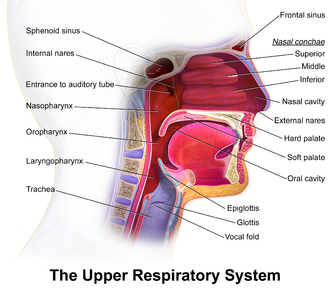 Surgery is the main procedure which is used to treat nasal cavity and sinus cancer. What are the Symptoms of Nasal Cavity and Paranasal Sinus Cancer? Patients as well as doctors must keep the following signs in mind to detect the cancer. Although not limited to the cancer of nasal cavity or paranasal sinus, these symptoms may be helpful in making a proper diagnosis. Pus draining from the nasal cavity. Numbness or persistent pain in parts of the face. How is the Diagnosis Performed for Nasal Cavity and Paranasal Sinus Cancer? Computerised Tomography (CT) Scan This test provides the doctor with clear, cross-sectional images of internal structures of the body. The size and shape of a tumour, or an abnormality can be detected through this method. The doctor injects the patient with a dye and slides the movable table inside a doughnut-shaped machine. Magnetic Resonance Imaging (MRI) An MRI is an imaging test that may be used to diagnose any unusual tissue or growth in the throat. It helps in determining the size and location of a tumour or an abnormality in the body. The doctor makes the patient lie on a table, which is then slid into a tunnel-like machine, where magnetic field radio wave pulses scan the patient’s body and create the images. Whether to inject a dye or not is the doctor’s decision. X-ray A radiologist can tell if a tumour or abnormality is harmful by the manner in which it shows up on the x-ray. X-ray is often performed to check whether disease has spread to other parts of the body. What Treatment Options are Available for Nasal Cavity and Paranasal Cancer? The treatment of nasal cavity and paranasal sinus cancer relies upon the stage or severity of the growth and the patient's overall health. An otherwise healthy individual with Stage 1 malignancy might be treated with medical procedure alone. In any case, a person with an advanced stage may require a combination of surgical intervention, chemotherapy, targeted therapy and radiation treatment. Surgery While removing the cancerous tissue, the specialist takes out a margin of encompassing mass. The tissue that is removed will be checked in a laboratory to check whether there are tumour cells at the edges. If the margins don't have malignant cells, the growth is said to be removed with negative or clear margins. If the edges do have cancerous cells, the margins are said to be "positive". Positive margins suggest that some diseased cells were left behind. Chemotherapy Chemotherapy is the use of highly concentrated medications to obliterate defective cells. It works by destroying the cells' ability to multiply. Nasal cavity and paranasal sinus are treated with the specialised drugs. Although the treatment does not guarantee complete removal of cancerous tissue, it can certainly help to some extent. Radiation Therapy Radiation treatment is the utilisation of high-energy x-rays or other particles to destroy cancerous cells. A radiation treatment calendar comprises a particular number of radiation therapies given over a set timeframe. It is a highly effective treatment when it comes to reducing the number of cancerous cells. Usually, cancers cannot be cured. However, various medications may alleviate side effects, put the malignancy into reduction, and extend your life. If this condition is detected at an earlier stage, it is easier to control the complications. Results for individuals with nasal cavity and paranasal sinus cancer depend upon various elements includes overall health and capacity to manage medications.